Hairy pets are the real deal for many. Some of us just love the feel and touch of pet hairs. Unfortunately, pets that shed are more arduous to maintain. You have to vacuum the hairs several times a day. Doing it manually is not a viable option especially if you keep multiple pets. 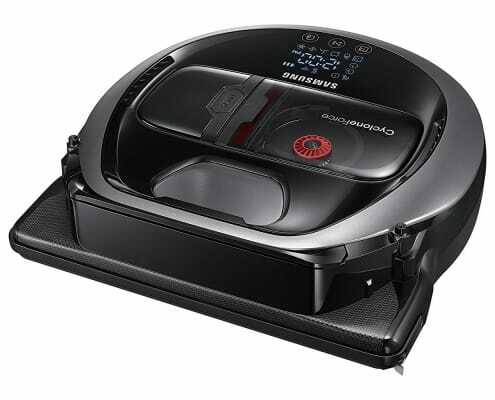 A good quality robot vacuum cleaner for pet hairs will get the work done quickly and effortlessly. 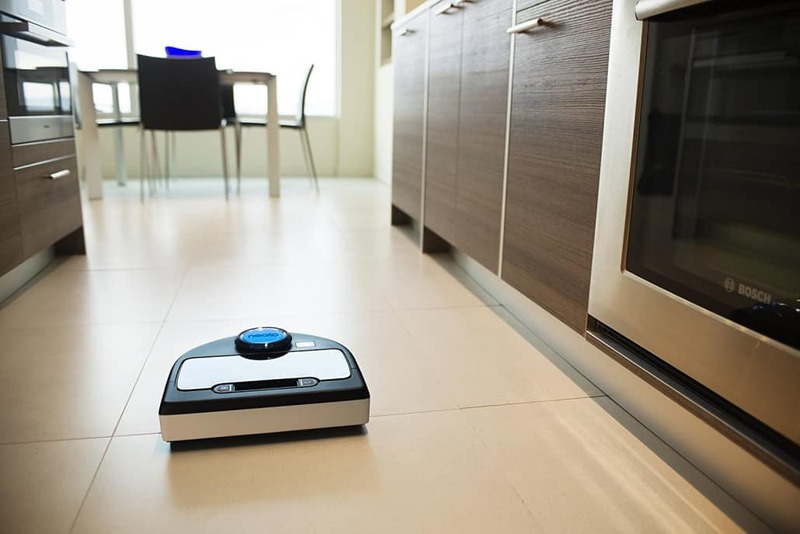 Some advanced robots can be set to automated schedules so they will do the cleaning on their own based on the preset time. Your only work will be to empty the bin time once filled. 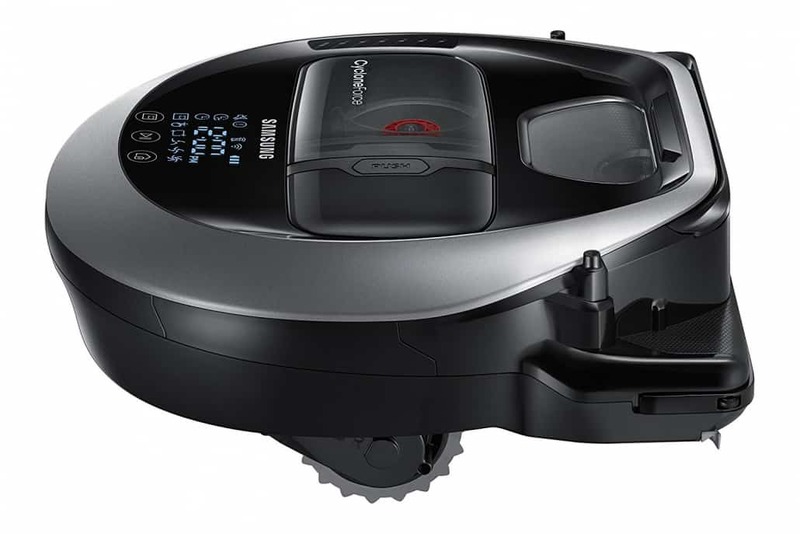 Looking for the best robot vacuum for pet hair, here are the 3 best models. So what are the best Robot Vacuums For Pets this 2019 you ask? 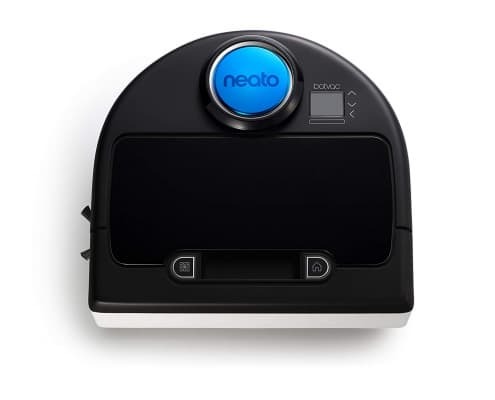 Our number one robotic vacuum cleaner for pet hair is Neato Robotics Botvac connected. 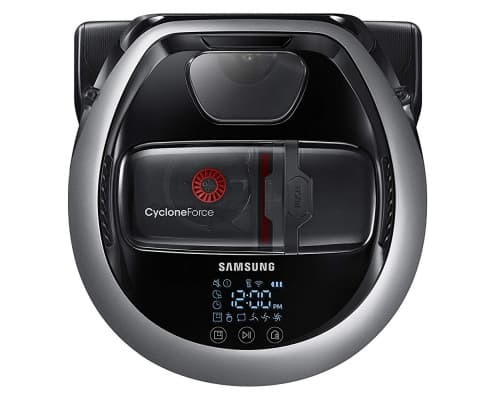 It’s a smart vacuum cleaner that combines the use of suction and brush power to deliver optimum cleaning results. It has two brush bars the combo brush and spiral rubbery blade two of which have strong bristles ideal for tackling pet hair. To add to its efficient brushes is the sidekick spinning brush that works to push the debris in the direction of the big brush. 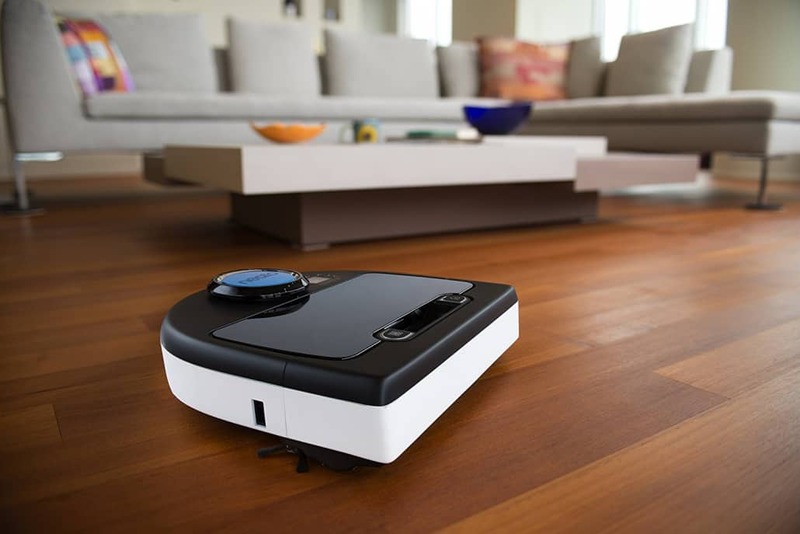 This robotic vacuum cleaner comes with a mobile app just like its competitors. 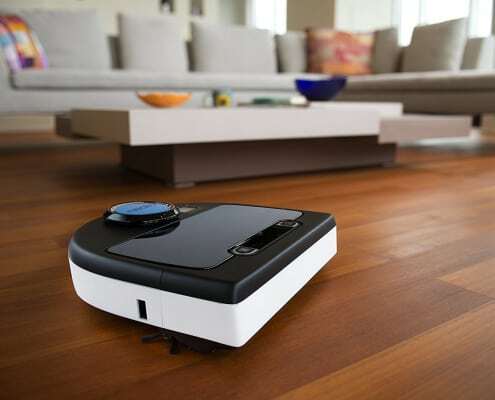 You don’t need to always be at home to get your house vacuumed once dirtied by pet hairs. 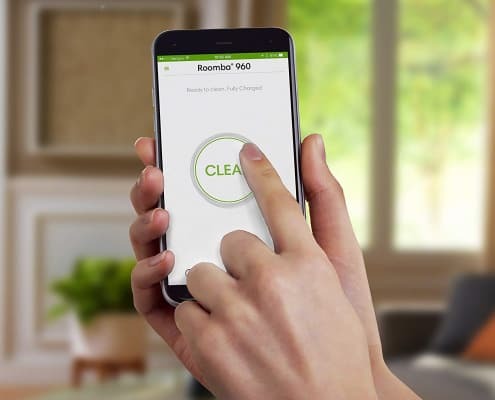 No matter where you are, you can remotely control the cleaner to clean your home once you deem it necessary. Uncommon to similar models, the Neato Robotics Botvac connected cleaner lets you choose between turbo and eco cleaning modes. 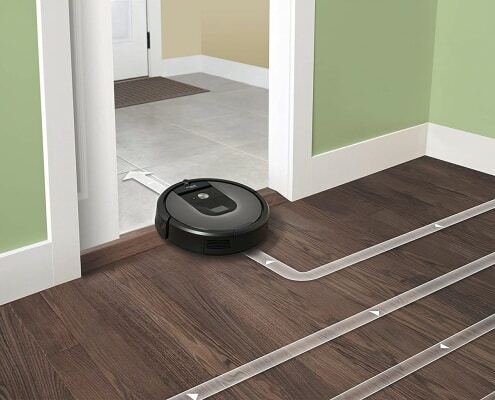 The Eco mode is quieter and works best on carpets while the turbo is a bit noisy and cleans more vigorously. 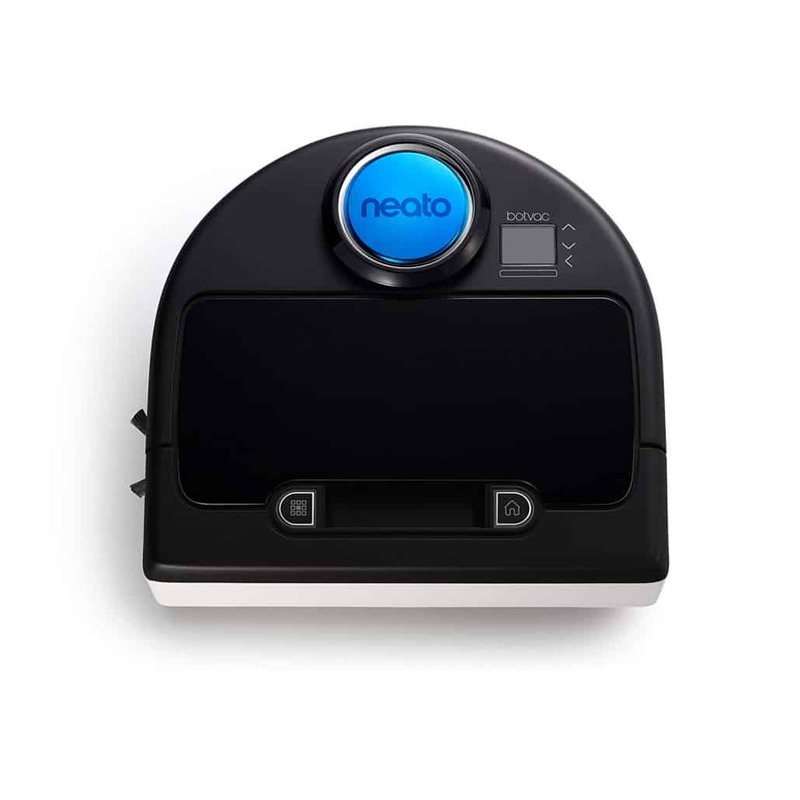 Neato Robotics Botvac’s battery has an amazing lifespan of 120 minutes. This simply means it stores enough power to clean a large surface area of not less than 5000 square feet. Its D-shaped design combined with a rounded body and flat front gives it the power to navigate through crannies and nooks. 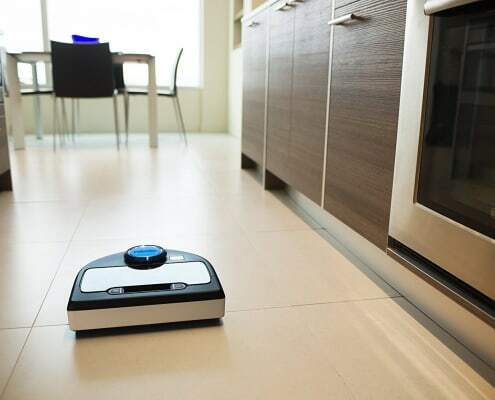 As for the intelligent sensors and the sophisticated mobile app, they give you better control of your robotic cleaner ensuring you can make the most of its use. 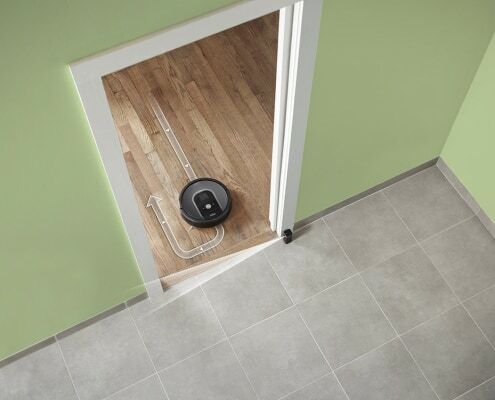 Compared to similar models, Neato Robotics Botvac is a bit more budget-friendly. It’s as well more user-friendly something which makes it the perfect choice for most household cleaning requirements. 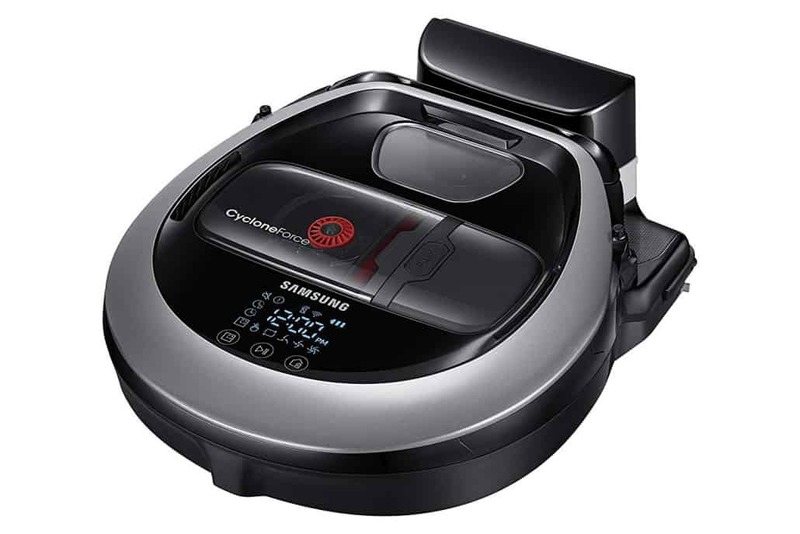 Samsung Powerbot R7065 is a state-of-the-art robotic cleaner that doesn’t disappoint when it comes to vacuuming pet hairs. 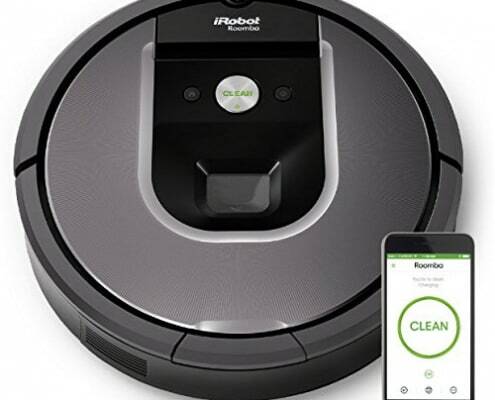 The bot comes with avant-garde features such as humanoid head shape, upward-facing camera eye, and digital displays that make it look and perform like a real robot. Also, it has strong wheels set that adjust based on the surface it’s working on. The multiple sensors combined with the digital camera ensure it can quickly accustom to the configuration of different rooms. 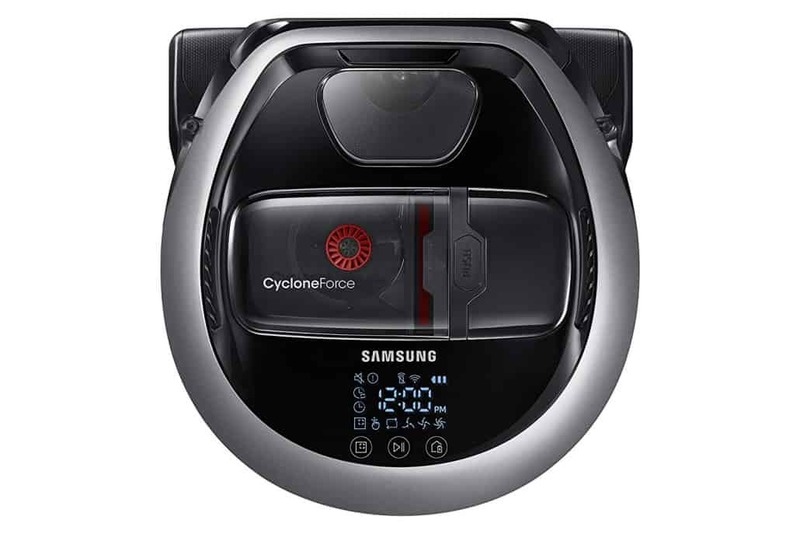 Featuring a creative brush system and cyclonic suction, Samsung Powerbot is able to vacuum efficiently without leaving debris and dirt behind. 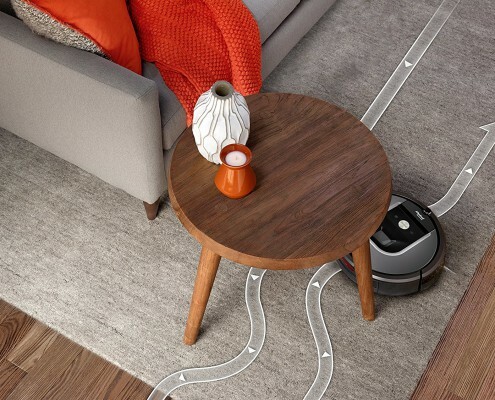 Since it’s app-connected and remote-controllable, you can easily maneuver its operations right from your smartphone. 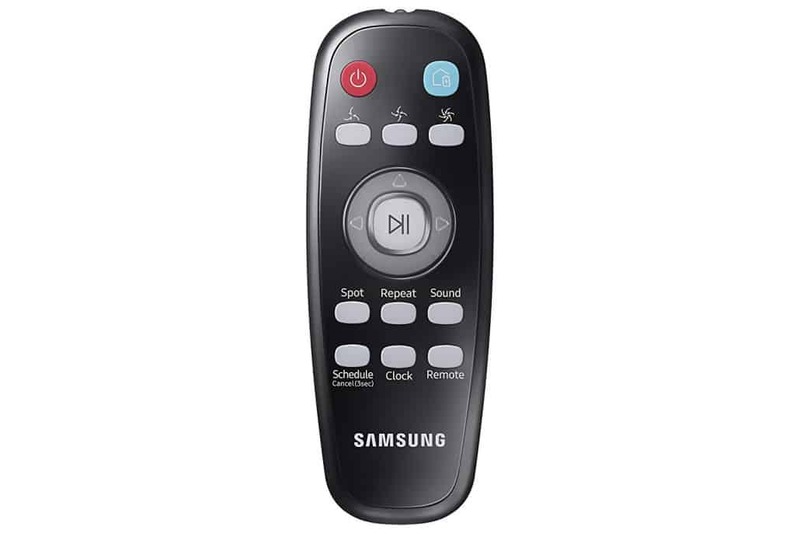 Samsung Powerbot R7065 is Wi-Fi enabled meaning you can command it to execute certain roles using your Google Assistant or Alexa applications. It not only looks masculine but also attractive. The gunmetal gray accents and the black finishing give it a stylish look while the robust design combined with the strong construction give it a masculine look. 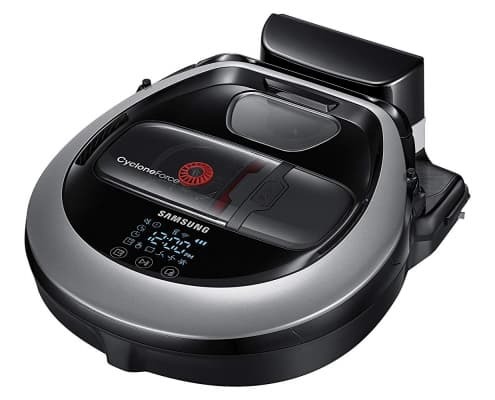 Samsung Powerbot’s battery is powerful enough to run the bot for a whopping 90 minutes before it needs to be recharged. This means you can clean a really clean a large surface area before the juice is finished. 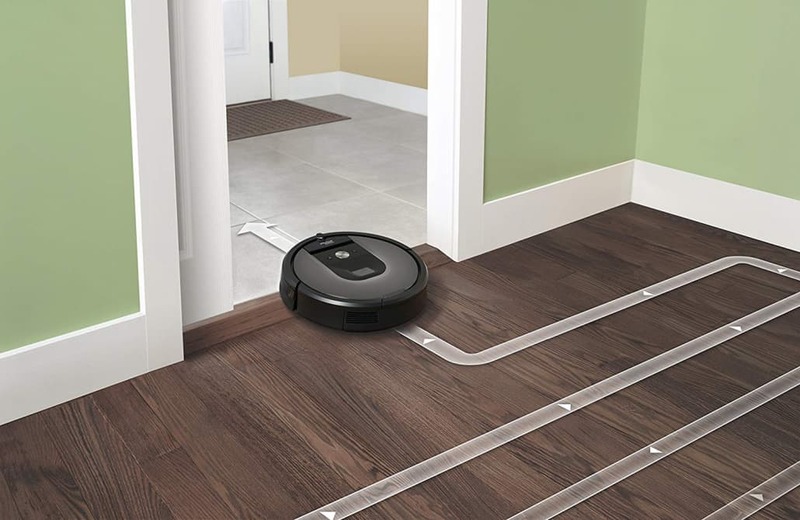 When it comes to the brushes, this robotic vacuum cleaner has an 8-inch long brushroll that’s efficient enough to reach bigger lengths. 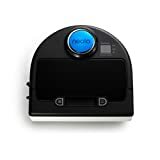 The brushroll has dual bristles fixed to its roller enable it to dig deeper into the surface being cleaned to life up stubborn dirt particles without being intertwined by hair strands. The shutter brush is designed such that it will automatically detect when the vacuum reaches a wall to extend longer to grab the remaining dirt particles and pull them to the inlet before it returns back to the original area of discharge. 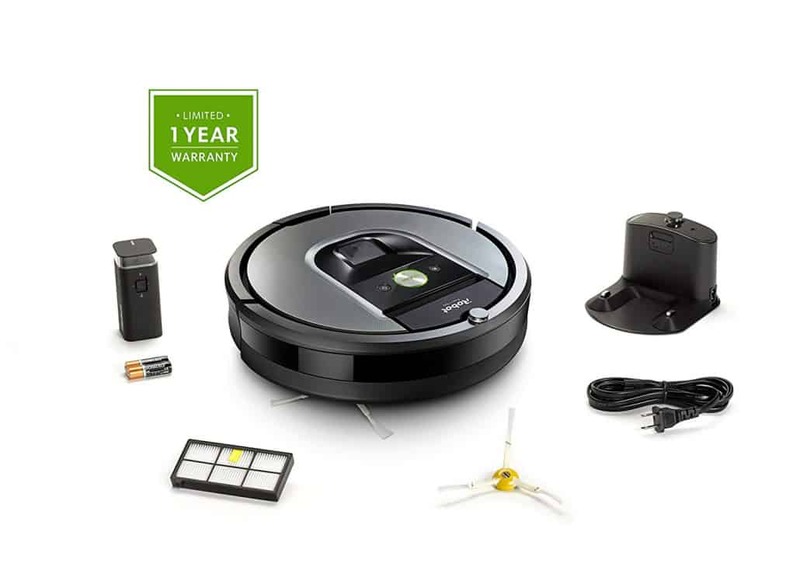 The iRobot Roomba 690 is a midrange model in the Roomba’s 600 series. It has a circular aesthetic design that has a black outer ring and silver top. The walls are durable and strong constructed meaning it won’t get damaged if it is knocked off. It is 3.6 inches high and 13 inches wide. The compact and small design ensures it can efficiently navigate through hard to reach surfaces. 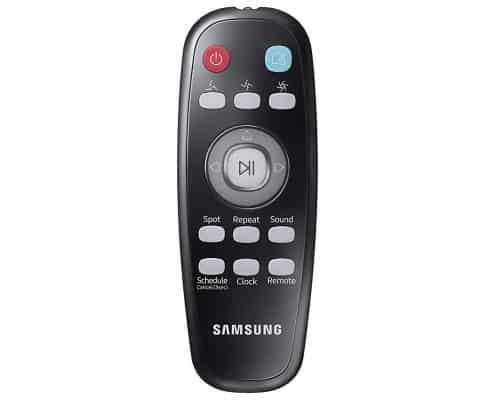 Compared to similar models in the 600 series, it is the lightest model. So it won’t knock out things like tables and chairs while during its magic. 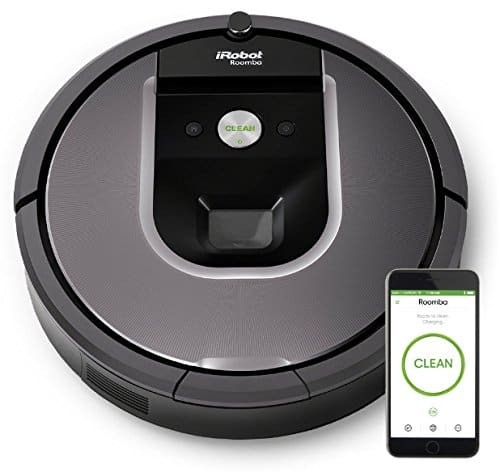 The iRobot Roomba 690 is Wi-Fi connected and makes use of the latest 3-stage cleaning system to deliver the best results. 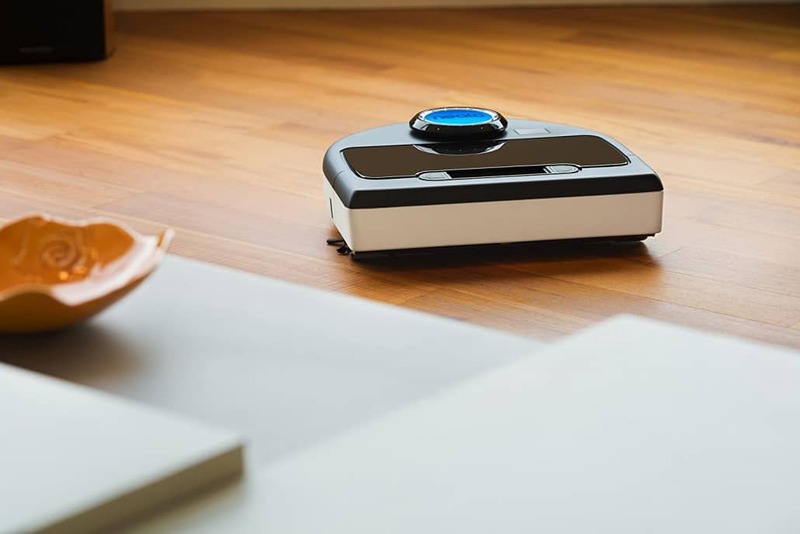 It has dual multi-surface brushes, edge-sweeping brush, and vacuum suction three of which work together to clear out all sorts and sizes of dirt particles. The premium and sleek design complement every modern home decor. 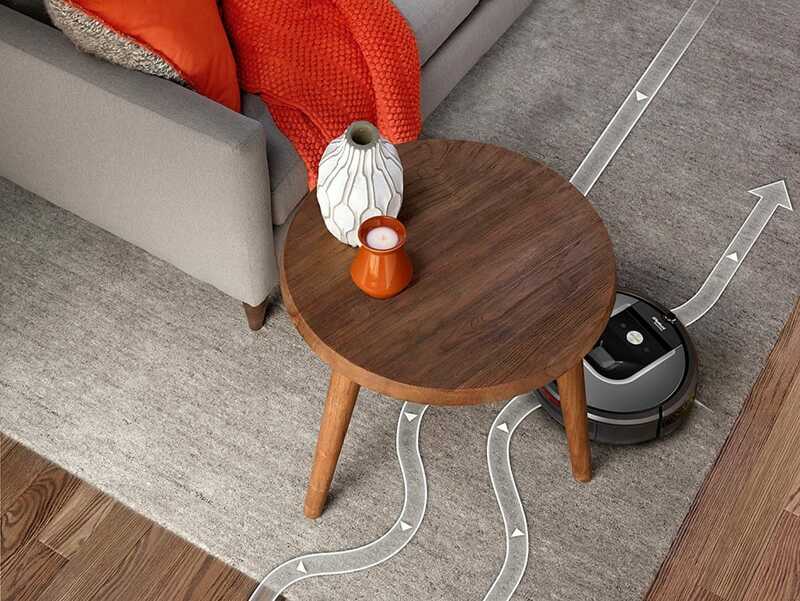 The robot can be controlled remotely using the iRobot home app. The best thing about the app is that it allows you to schedule for cleaning schedules based on your preferences. 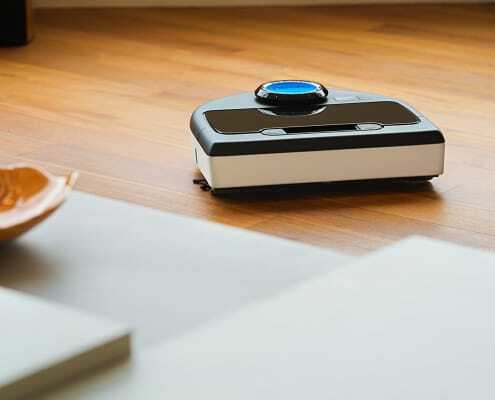 Since the vacuum is Wi-Fi connected, it responds to Google assistant and Amazon Alexa voice commands. Not every vacuum cleaner is perfect for you. 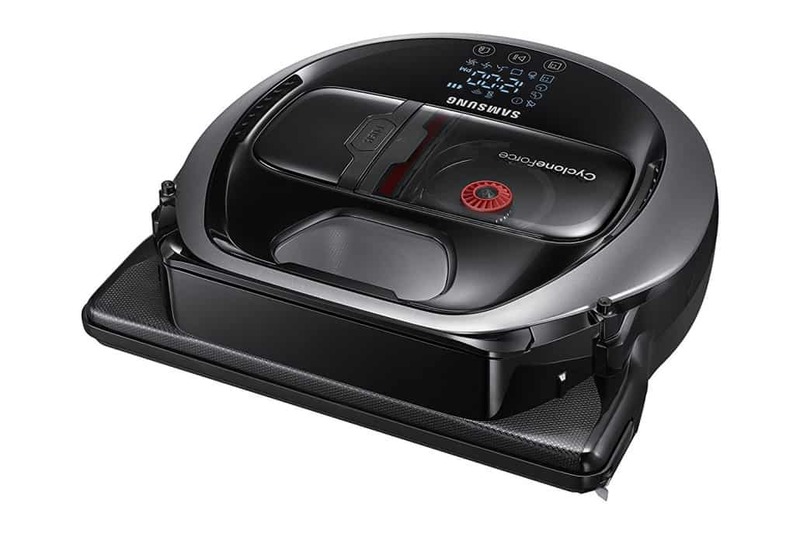 Everybody has their own their personal requirements and preferences when it comes to robotic vacuum cleaners. 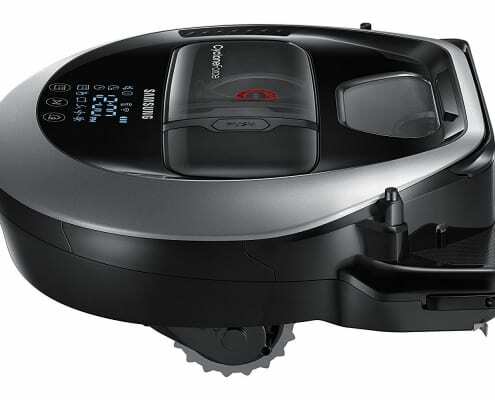 Also, the amount of cleaning work every robot vacuum cleaner can tackle before its juice is exhausted differ. It’s up to you to come up with a plan on what you want based on your budget and the number of pets you have at home. Remember, the more pets, the more the hairs shed so the more the cleaning work. 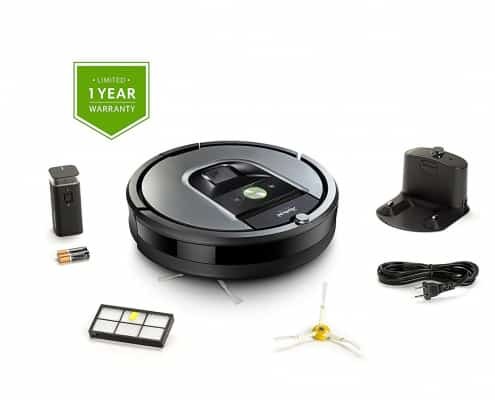 So, when making your choice, you must look for a powerful robotic vacuum cleaner that can handle the amount of cleaning required in your house.